CRANIOSACRAL THERAPY (CST) WAS PIONEERED AND DEVELOPED BY AN US OSTEOPATHIC PHYSICIAN DR. JOHN E. UPLEDGER (1932-2012) FOLLOWING EXTENSIVE SCIENTIFIC STUDIES FROM 1975 TO 1983 AT MICHIGAN STATE UNIVERSITY, WHERE HE SERVED AS A CLINICAL RESEARCHER AND PROFESSOR OF BIOMECHANICS. IT IS A GENTLE, SAFE AND SOFT HANDS-ON METHOD OF EVALUATING AND ENHANCING THE FUNCTIONING OF A PHYSIOLOGICAL BODY SYSTEM CALLED THE CRANIOSACRAL SYSTEM – COMPRISED OF THE MEMBRANES AND CEREBROSPINAL FLUID THAT SURROUND AND PROTECT THE BRAIN AND SPINAL CORD. THE THERAPIST GENERALLY APPLIES NO GREATER THAN 5 GRAMS, OR ABOUT THE WEIGHT OF A NICKEL, PRACTITIONERS RELEASE RESTRICTIONS IN THE CRANIOSACRAL SYSTEM TO IMPROVE THE FUNCTIONING OF THE CENTRAL NERVOUS SYSTEM TO PROMOTE HEALING ENERGIES AND TOTAL WELL-BEING AT A FUNDAMENTAL LEVEL. BY COMPLEMENTING THE BODY’S NATURAL HEALING PROCESSES, CST IS INCREASINGLY USED AS A PREVENTIVE HEALTH MEASURE FOR ITS ABILITY TO BOLSTER RESISTANCE TO DISEASE (E.G. COLD). BY 2001, DR. JOHN UPLEDGER HAD TRAINED MORE THAN 60,000 CST PRACTITIONERS IN US, AND HAS BEEN NAMED BY TIMES MAGAZINE AS THE “NEXT WAVE OF INNOVATOR”. dr. SZE HAS INTRODUCED THIS HEALING MODALITY IN 2003 AFTER HE HAS RECOVERED FROM “SARS" JUST BY DRINKING WATER, RESTING AND HOME ISOLATION FOR 3 DAYS. WITH DR. SZE’S CHINESE MEDICINE BACKGROUND, HE HAS INTEGRETED THE CST WITH CHINESE ACUPUNCTURE AND INDIAN 7-CHAKRAS AND DEVELOPED THE “DRC – CRANIO HOLISTIC HEALING" MODALITY. THE “DRC – CRANIO" IS A 100% MANUAL THERAPY TECHNIQUE. AMONG ALL “DRC" TECHNIQUE, THE “DRC – CRANIO ACUPUNCTURE FINGER" IS THE MOST REPRESENTATIVE ONE. THERAPY USES THEIR FINGER TO REPLACE AN ACUPUNCTURE NEEDLE. THEREFORE, THE “DRC – CRANIO" IS 100% ENVIRONMENTAL FRIENDLY AND NON-INVASIVE. NO DRUGS, INJECTION, FANCY TOOL AND EQUIPMENT ARE REQUIRED. IT CAN BE USED AS AN ALTERNATIVE OR STANDALONE TREATMENT FOR VARIOUS HEALTH CONCERNS (E.G. PEOPLE CONCERNED ABOUT BLOOD SUGAR/BLOOD PRESSURE, NON-CONTAGIOUS SKIN DISEASES, ETC), OR AS A COMPLEMENTARY CARE TREATMENT FOR TRADITIONAL CHINESE/WESTERN MEDICINE (E.G. PERENNIAL PROBLEM, AFTER CHILDBIRTH CARE, GENERAL HEALTHCARE ETC), FROM AGE 0-100. DR. SZE HAS BEEN PRACTICING IN HEALTHCARE SECTOR FOR AROUND 25 YEARS. AFTER AROUND 15 YEARS WORKED IN PUBLIC AND PRIVATE HEALTHCARE ORGANIZATION, HE IS ONE OF THE FIRST TO INTRODUCE AND PRACTICE THE CRANIOSACRAL THERAPY (CST) HEALING MODALITY IN HONG KONG IN 2003. BY 2016, DR. SZE HAS ABOUT 20,000 CLINICAL HOURS AS A HOLISTIC CRANIO-SPINAL NATUROPATHIC SPECIALIST. 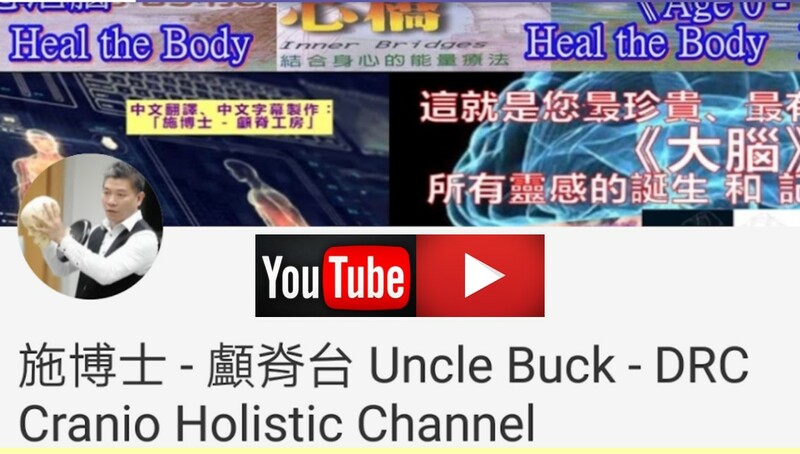 WHILE PRACTICING AS A HOLISTIC CRANIO-SPINAL NATUROPATHIC SPECIALIST, DR. SZE HAS BEEN PROMOTING THIS LIGHT, NON-INVASIVE, CONVENIENT AND ENVIRONMENTAL FRIENDLY NATURAL HEALING MODALITY AND HAVE PREPARED NUMEROUS EDUCATIONAL VIDEOS ON CST FOR FREE. DR. SZE HAS STUDENTS FROM ALL WALKS-OF-LIFE (E.G. CHINESE DOCTOR, NUTRITIONIST, TAI CHI MASTER, NURSE, FITNESS TRAINER, MANAGEMENT EXECUTIVE, HOUSEWIFE ETC. ), ALSO FROM HONG KONG AND OVERSEAS, BOTH WITH AND WITHOUT MEDICAL BACKGROUND. IN VIEW OF THE LIGHT TOUCH NATURE OF THE “DRC – CRANIO" HEALING MODALITY, NO MEDICAL KNOWLEDGE OR BACKGROUND PRE-REQUISITE FOR ENTRY TO THE TRAINING COURSE. IT IS SUITABLE FOR ANY INTERESTED PERSON. THE TECHNIQUE CAN BE APPLIED IN VOCATIONAL OR DOMESTIC PURPOSE TO PROMOTE SELF-HELP SPIRIT AND INDEPENDENCY. 本網站資料/文章由網路收集而來，加上中文翻譯，使參考更方便，並非提供任何醫療建議或保證。如有侵權請告知，定會立即刪除。The data or article of this site is collected from the network. With Chinese translation added for easy reference only. It is not medical advice or guarantee. Please inform us if infringement found. The related data will be removed immediately.